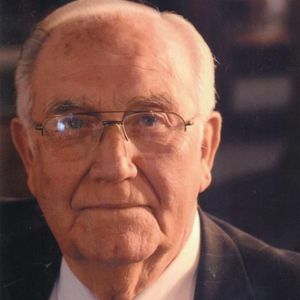 Paul Elliott Puckett Sr., 86, of Owensboro, passed away March 16, 2019, under the care of Hospice of Western Kentucky. Paul was born in Daviess County January 30, 1933, to the late Joshua and Mae Seaton Puckett. Paul was a Union Electrician and a 66-year member of The International Brotherhood of Electrical Workers Local 1701. He co-founded Owensboro Electric Inc in 1963 and was a farmer in Philpot for 25 years. He was of the Baptist faith and attended Owensboro Christian Church. He was past Worshipful Master of the Masonic Temple FM&A #130. He was proud to be a Kentucky Colonel. Paul loved entertaining his family, golfing, farming, and fixing anything that needed fixing. He enjoyed traveling and made it to all fifty states, sometimes in his RV. He loved dogs, especially his last canine companion, Ginger. He was preceded in death by his loving wife Eutha Lynch Puckett, a son, Glenn Eugene Puckett, a grandson, Jay Elliott Puckett, and his siblings; Junior Matlin Puckett, Willo Mavis Vinzant, Maxine Hutchason, Ruby Jean Aldridge. Survivors include his children, Paul Elliott Puckett Jr. (Charlotte), Sharon Puckett Brown (Eddie), and Joshua Kevin Puckett; grandchildren, Lee Puckett Murphy (Brian), Lea Puckett Tapp, Michael Shawn Puckett (Angela), Nathanial Glen Brown, Amanda Catherine Puckett, and Zachary Alexander Puckett; and 10 great-grandchildren. The family would like to thank the caregivers at the Hospice of Western Kentucky, especially Kathy and Natalie. Expressions of sympathy may take the form of contributions to The Heartford House. The funeral service for Paul Puckett will be 2 pm Monday, March 25, 2019, at Glenn Funeral Home and Crematory with Myke Templeton officiating. Visitation will be Monday from 11 until service time. Burial will take place at Elmwood Cemetery.